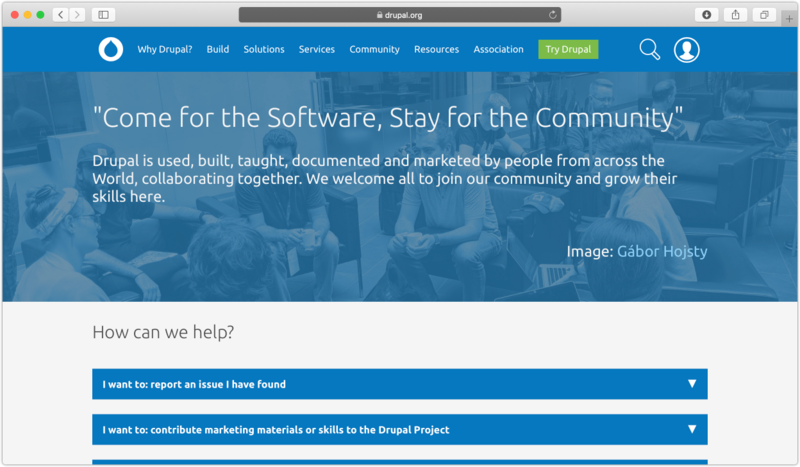 As one of the largest and longest running open source projects of all, Drupal has an incredible community. To help new visitors, and returning visitors looking for a new challenge, we are making some changes to the /community section of Drupal.org. This will happen in a number of phases, the first of which is already at a “beta” stage. We are rebuilding the Community home page to reflect the activities and groups that visitors might be looking to find out about. It’s not enough to say “Yeah, there’s a group of people out there and you might find them on Groups.drupal.org, Slack, IRC, Drupalchat.me, etc.” – we need instead to find out what somebody is trying to achieve and then direct them to the actual places on these systems, whilst also giving some context of the overall governance of the activities. 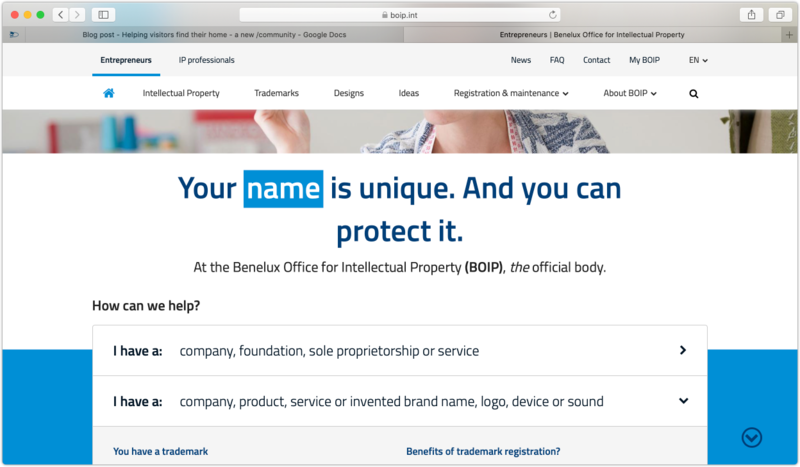 You’ll also notice that each of the sections has a link to an issue in the community project, https://www.drupal.org/project/drupal_org_community – you are actively encouraged to help us improve the content, propose new sections, etc. One of the most significant challenges I and others creating the page above have noticed is finding the canonical locations to find all the various people involved in each activity. Some people hang out almost entirely in Slack and have their own external website, some have a presence on Groups.drupal.org and other groups have fixed locations, such as the Core Initiatives section. I would very much like to see a place where groups, both chartered/official ones like the Community Working Group or the Promote Drupal Initiative, and less formal but long-term groups, like Core Mentoring, can have a canonical place to say who they are and provide updates of what they are up to. A blog so that the group can update the community on their activities. I am listening out for which groups would like such a place. Please create an issue in the project with the details. If you wish to discuss first, please contact me.